Sail on the coolest boat in town with the hottest reputation! One of the newest boats sailing The Whitsundays, there’s no denying that Blizzard is a beauty! Always a winner with sailors young and old who wish to avoid the crowds, still want to have some fun on their overnight sailing trip, and to sail in style. With low numbers (maximum of ten guests), a variety of cabin types plus all of the free extras make this a very popular sailing adventure. Blizzard offers all of the comforts of home that you would normally find only on a catamaran, and this is truly a great trip to experience the thrill of sailing. 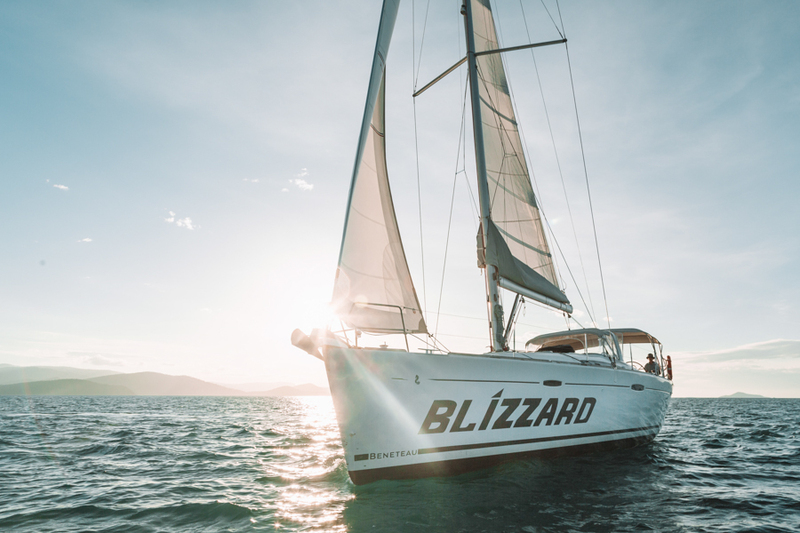 While you still experience the magic of Hill Inlet, Whitehaven Beach and snorkelling like you would on any other overnight sailing tour - Blizzard offers all of the extras you would never expect! So what makes Blizzard so special? Does it deliver on all of the hype? Take a look below! The ultimate water toy, this will take you on the ride of your life as you zoom through the ocean. Glide effortlessly through the water, special agent style! * Please note this is a sample of menu and is subject to change and amendments. We love that Blizzard is appealing to people from all walks of life, but please note that the minimum age of passengers travelling is 10 years. All passengers travelling under the age of 18 cannot be booked in share accommodation – with the exception that the entire group will take up the share accommodation areas on board Blizzard. Otherwise, they must be in a private cabin with a parent or guardian. Blizzard requires all guests to have a reasonable level of fitness, as regular mobility on and off the vessel is essential i.e. climbing the ladder from the ocean. Like the look of Blizzard? Enquire about availability today on 1800 550 751 as with only ten places per trip, they never last long!